Steady Teddy is back and this time the stakes couldn’t be higher. One man stands between her and everything she needs to reconcile her past and secure her future. Her mission is simple. Deliver Gordo to Jonathon and Teddy will be well on her way to getting her life back, but of course, nothing goes smoothly where Gordo is concerned and finding him may prove to be an impossible task to pull off. He knows all the tricks and always somehow manages to stay one step ahead, but Teddy is driven beyond reason and will stop at nothing to track him down. If she succeeds, she could finally live the life she’s meant to live. If she fails, her past and future could be lost forever. Who will win in this dangerous game of cat and mouse? 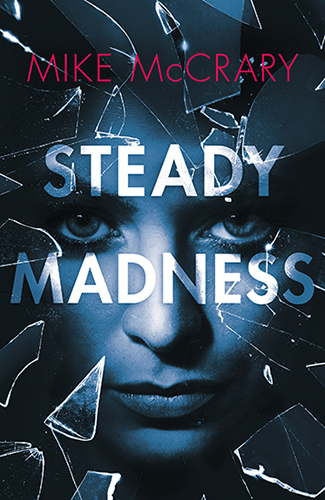 Steady Madness is the second book in the Steady Teddy series and picks up where all the thrills and gripping action of Steady Trouble left off. She will never forgive and forget. When eighteen-year-old Teddy loses her parents to a tragedy, she’s left alone and with no memory of the life she once had. Now older, wiser, and tougher than ever before, Teddy has managed to carve out a small place in Austin’s criminal underworld, but that world comes with its own brand of trouble. Trouble she’s learned to handle with some razor-sharp wit and the occasional baseball bat. Desperate to buy the only link to her childhood—her parents’ old farm—Teddy jumps at an opportunity that could change her life. A stranger has just walked into her bar and presented her with a chance to get back a little of what she once had, but it may not be as simple as she thinks. This chance of a lifetime may take her down a long, winding road filled with more trouble than she might be able to handle. From Mike McCrary, author Genuinely Dangerous and the Remo Cobb series comes the first book in a brand-new exciting series of thrillers. 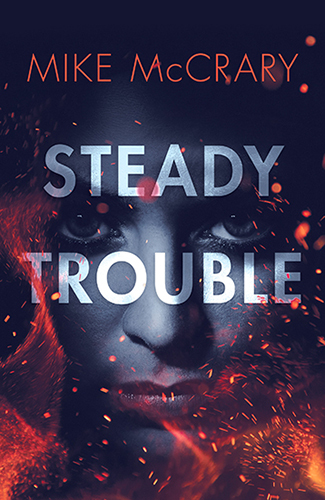 Steady Trouble is filled with nonstop action, humor, a touch of heart, and fun character affectionately known as Steady Teddy.